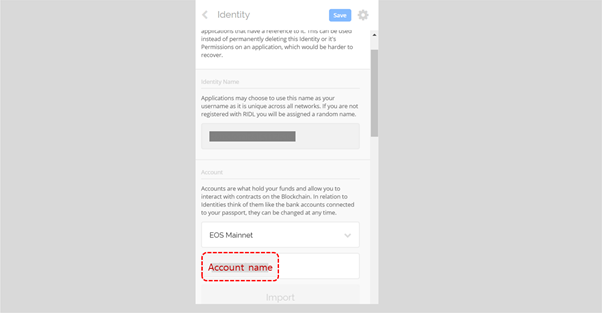 Today, I will explain how to change the authorization of your Scatter account. 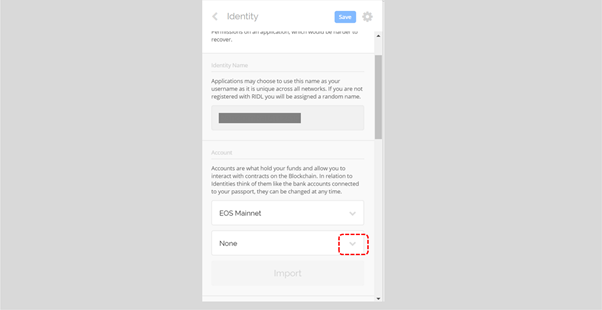 An EOS account is divided into an owner key and an active key regarding public key authorization. Usually, people use the same public key hash for both the owner and active key, but you can receive a different key for each public key if you would like more security. Owner key: the key to account ownership, used to change permissions. Active key: the key to account activities, used to vote, trade, staking and etc. 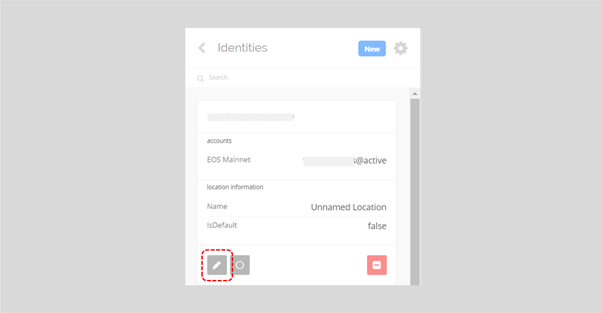 When registering a Scatter ID, you can specify the authorization by choosing between @active and @owner of the account, and you can change it whenever you want. 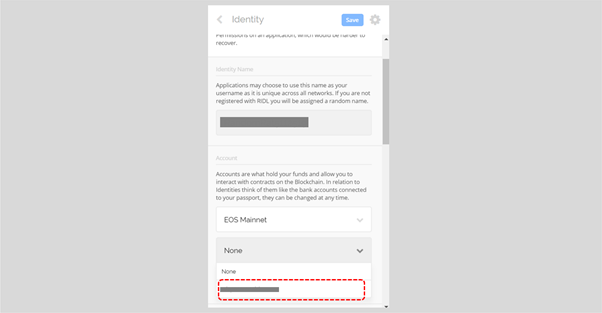 At this time, changing from the active key to the owner key or from the owner key to the active key does not have any effect on the existing EOS account. It just changes which authorization of your account you will use at the Scatter. 1. 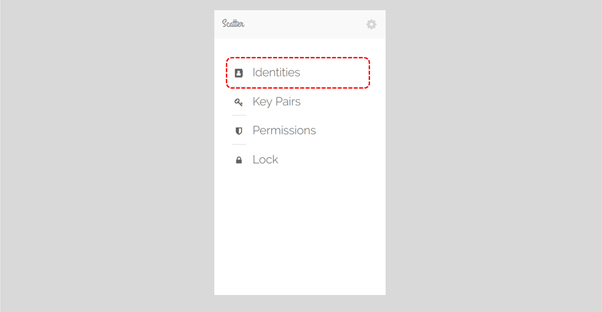 After accessing Scatter click on "Identities"
5. 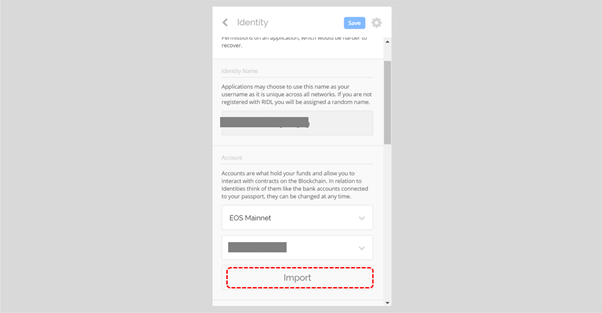 To import your EOS account again. Click the arrow button next to "None". 8. 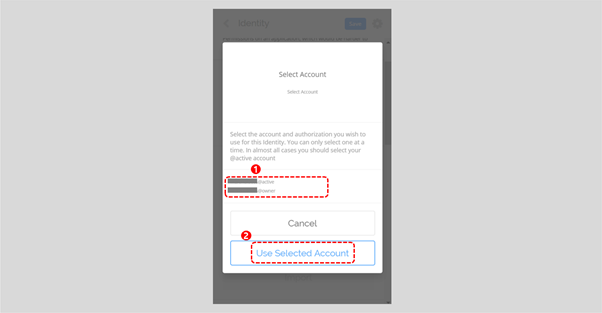 Select @active / @owner and click "Use Selected Account"
Once saved, the authorization of your Scatter account is completed. 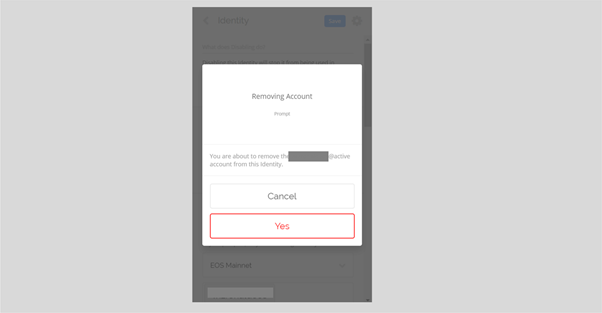 Now you know how to change your account authorization through Scatter. If you have any problems, please feel free to comment!